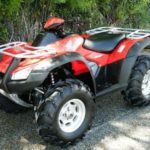 Offering incredible versatility and value, the FourTrax Rancher has long been an important product in Honda’s ATV lineup. The Rancher line is available in an array of configurations that are sure to appeal to just about anyone. For customers looking for a Rancher that’s equipped with the most features, the Rancher Automatic DCT with IRS is the logical choice. 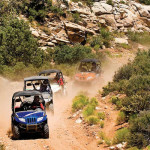 With new-generation independent rear suspension (IRS), updated automatic dual-clutch transmission (DCT), TraxLok 2WD/4WD and Electric Power Steering, Honda’s top-of-the-line 420 ATV packs an amazing collection of features into the lightweight, agile Rancher chassis, and completes the package with updated styling and Honda’s renowned quality and reliability. 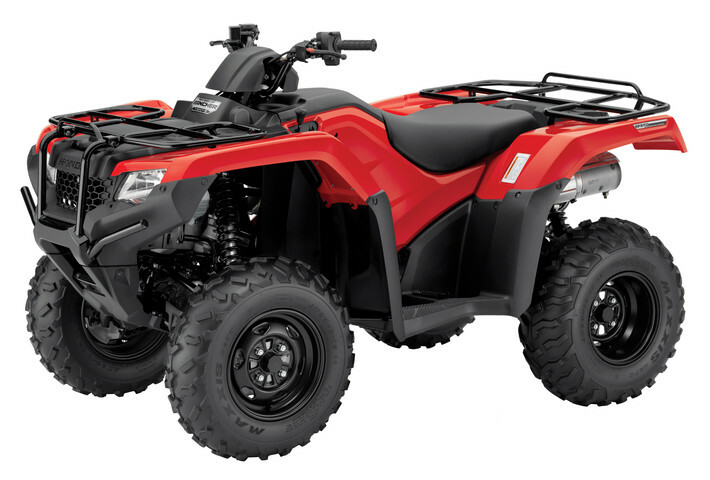 With the 2015 FourTrax Rancher Automatic DCT with IRS, ATV performance and comfort are more attainable than ever. The 2015 Honda Rancher Automatic DCT with IRS is the best Rancher yet. Independent Rear Suspension: With a new frame, an increased ground clearance of 9.2 inches, and 8.5 inches of rear-wheel travel, the 2015 Rancher’s dual-arm independent rear suspension brings better ride quality and increased traction, making daily chores more fun and weekend adventures more comfortable. Thicker, Softer Seat: Spending a long day aboard the Rancher just got a little nicer. For 2015, it receives a new thicker and softer seat making even the bumpiest trail more tolerable. Digital Meter: The 2015 Rancher gets a new, easy-to-read digital gauge with speedometer, odometer, trip meter, hour meter, gear-position indicator and clock. It also includes a maintenance minder to help riders stay on top of routine servicing. 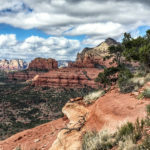 Electric Power Steering: Offered on 4WD versions of the Rancher (including the Rancher Automatic DCT with IRS), Honda’s electric power steering reduces rider fatigue by varying electronic assistance based on speed and rider input. Over rough terrain, handlebar kickback is reduced and feedback is consistent in all conditions. A new, three-point mounting setup increases rigidity for more precise steering. New Reverse Lever: Like other Honda FourTrax models, the Rancher receives a new lever for simplified engagement of reverse. Its intuitive placement and function makes maneuvering that much easier. Pushing the same lever out sets the parking brake. 450 Watt AC Generator: Rancher users can power all their accessories with ease thanks to the increased-output generator on the 2015 Rancher. With 450 watts, it increases output by 21 percent. Automatic Dual Clutch Transmission: Delivers smooth, seamless power in automatic mode. Or, at your option, lets you switch drive mode to manual electric shift. There are no belts to slip when wet, or to burn up or break. 170mm Rear Disc Brake: Inboard rear disc brake combined with the independent rear suspension and increased suspension travel results in improved ground clearance to bring increased rider confidence aboard the 2015 Rancher Automatic DCT with IRS. Engine: Programmed Fuel Injection (PGM-FI) instantaneously adjusts for any riding condition, producing trouble-free operation in the cold and at altitude. Fuel injection also reduces emissions and increases fuel efficiency. The longitudinal orientation of Honda’s liquid-cooled Rancher engine offers greater drivetrain efficiency and increased power by reducing the number of 90-degree driveline changes between the engine and the driveshaft. New Colors: The Rancher 4×4 Automatic DCT with IRS is offered in red, orange and (new for 2015) Honda Phantom Camo. In any option, you’ll look good on the trail. 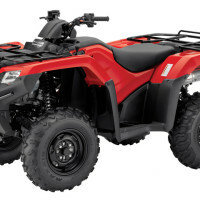 The FourTrax Rancher line is the best-selling ATV in Honda’s history, with over 900,000 sold since its introduction. Following is a look at the Rancher’s milestone models. 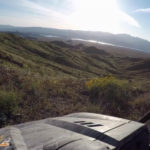 American Honda press team can provide leads on longtime Honda ATV owners for potential interviews. Back in 2007, the Rancher AT became the first Honda vehicle to feature an automatic dual clutch transmission. 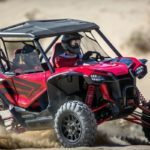 Today, Honda is still the only manufacturer to apply this technology to ATVs (it’s now also available on a number of Honda motorcycles). DCT offers the durability and the direct acceleration feel of a manual transmission, but with automated gear changes. For 2015, this acclaimed five-speed automatic gearbox has been refined even further. Honda’s DCT features two mainshafts (the first is hollow, and the second resides within the first), each holding its own clutch. The first mainshaft/clutch combination works with the odd-numbered gears while the second combination works with even-numbered gear sets. Through this arrangement, the next gear is always pre-selected, so when one clutch hands off to another for a gear-change, shifts are quick and smooth. 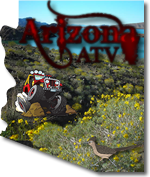 Reliability: DCT is a sealed system, so it’s protected from the extremely harsh environments common in ATV use. In addition, there’s no belt to wear out or break. Efficiency: Because DCT uses actual gears rather than a belt and pulleys, there’s significantly less power loss between the crankshaft and the wheels. Smoothness: Shifts are smooth and quick with automatic DCT, with minimal power gaps during shifting. In addition, the fact that shifts are controlled by the ECU means that clutch “feathering” is engineered in to ensure ideal gear changes, which is one reason that DCT is popular in pure-performance applications such as high-end sports cars. Control: Honda’s automatic DCT offers the possibility of switching to manual, push-button Electric Shift Program (ESP). “Some users like to shift for themselves during sportier-style riding,” explains Honda R&D powertrain engineer Scott Batdorf. “Also, for pure utility use, it can be nice if you’re towing a big trailer.” Additionally, whether in automatic or manual ESP, the rider benefits from true engine braking when descending. If anyone would know, it’s Spud.